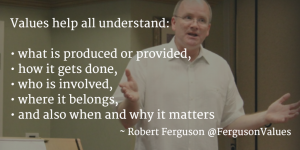 Building a great organization requires having the right people. 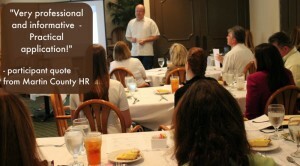 Does your organization have the right people working there? Are there some people at your company who should NOT be working there? Is everyone at your firm in the right role? 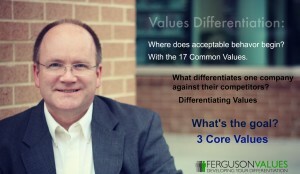 Values are a great tool to help with the first two questions, but not so much the third one. Do you have experience working for one of our competitors, or customers, or suppliers? What’s your experience doing the job under consideration? What makes you qualified to work here? What’s your education? Where did you go to school? To get the right people ‘on the bus’ leaders need to be clear on the filtering criteria that determines who is allowed on, and who needs to get off. There needs to be a common filter applied to ALL employees, regardless of roles and responsibilities (including the executive team). This is where the power of values works perfectly. 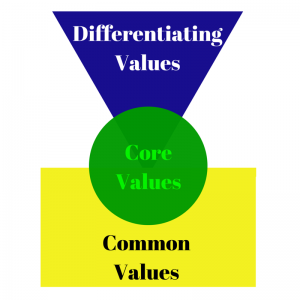 If leaders have determined a company’s differentiating values, they then possess a powerful filter to ensure every person associated with the company is the right person. Here’s how it might work in a professional services firm. Now, imagine the kinds of questions you could explore when considering a new hire. Share an experience where you had to adapt while the environment was changing. 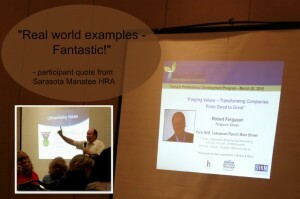 What would others you’ve worked with before say about your ability to be adaptive? When you are working on a project and a problem arises, how would you score yourself (on a scale of 1 to 10) on your ability to push through the problem? Can you share an example of where your determination to succeed helped you and/or others? What about where it was a hindrance? On a scale of 1 to 10 (where 1=low and 10=high), how modest would you say you are? And why did you choose that score? Think of the last time you tried to really impress someone (anyone). What did you do to impress them and what was the motivation to do it that way? How do you feel about working with a group of people who appear to be laid back? The purpose of such questions is to understand how important the differentiating values of Adaptable, Determined, and Unpretentious are to a potential new hire. Are they innate to the person? Do they come naturally or is it forced? The answer to these – and similar types of questions – will help determine if a potential candidate is worth pursing further. 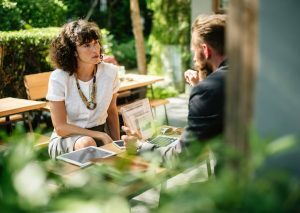 If the first screening stage goes well, the next step might be to have one or two employees take the candidate out to lunch or dinner to explore these values further in a more relaxed environment, and also see how they appear in a social setting. If the potential new hire gets the green light to proceed to the hiring phase, assuming they also possess the necessary skills or appear trainable, these values then become the measurement for a pass or fail during the probationary period (usually 90 days). This same type of filter can also be applied to existing employees to determine if anyone needs to be removed from the bus. Keeping the wrong people not only occupies precious seats on the bus, they can also damage both culture and performance. Finally, regarding the third issue of getting the right people into the right seats on the bus, this is where a look at competencies makes most sense. 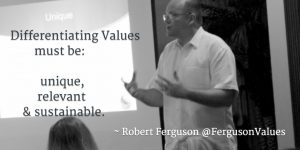 Here, values are not as useful a tool. But if everyone is aligned around the values that make a difference, moving people between the various seats on the bus is a whole lot easier – and cost-effective – to explore. Bottom line: getting the right people on the bus is a simple yet powerful concept. 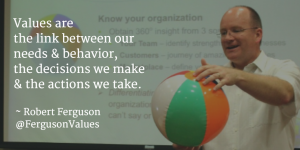 Values are an easy-to-use tool for all managers to accomplish this with consistency.